Can I mention the job references in my documents? Yes, you can choose to mention your job references in your documents. 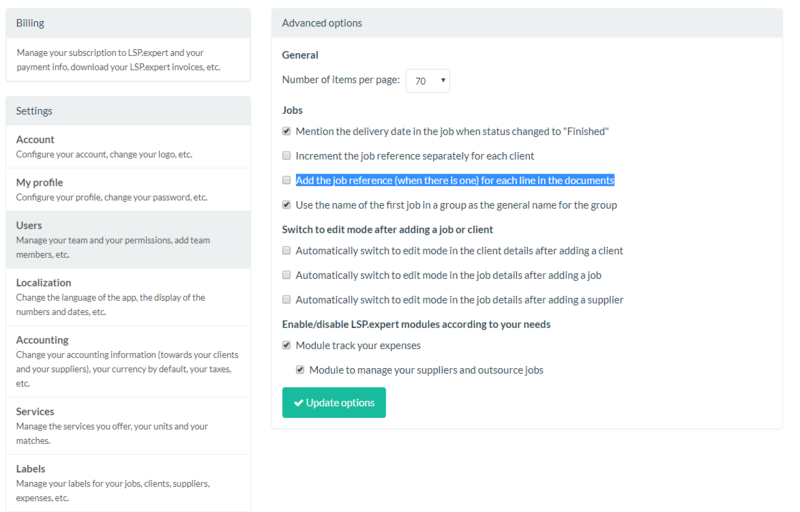 To mention your job references in your documents (invoices, quotes and POs), you can check an option under Settings > Advanced options. Each line of the document will then have its reference (if a reference was defined).